Associated Anesthesiologists, P.C. » VanCleave, Janelle S.
Home / VanCleave, Janelle S. / Employees / VanCleave, Janelle S.
Janelle S. VanCleave is a Billing Specialists for Associated Anesthesiologists, P.C. Janelle is a native of Lincoln, Nebraska. 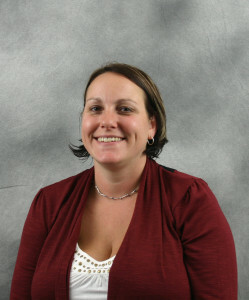 Janelle completed an Associate’s Degree as a Medical Assistant in 1999 from Southeast Community College in Lincoln, NE. In May of 2013 Janelle completed a Health Information Management Certificate. Janelle received her Coding Diploma from Central Community College in July 2014. Janelle is married and has two sons. Her personal interests include camping, watching sporting events, grilling and spending time with her family. Janelle has been with Associated Anesthesiologists, P.C. since October 2014.